This week we launch our urgent winter appeal. We have all noticed the days growing shorter and the temperatures dropping as winter sets in. Unfortunately this is now the beginning of a very tough time for our strays in Romania where temperatures can plummet to well below freezing. Dogs that are out on the streets, as well as the danger of being beaten and abused now face the added danger of freezing to death. In the shelters they are safe from abuse and have a roof over their heads but little else and the death rates rise. 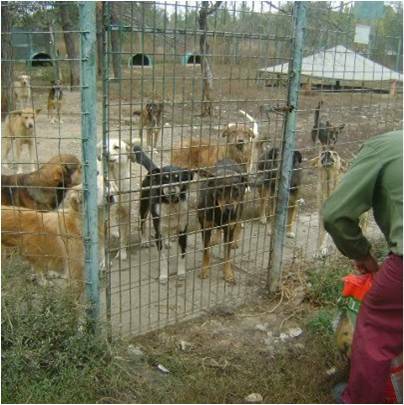 Food is scarce and dependent on charities such as ours to donate food and take care of dogs that fall ill. There are hundreds in the shelters and unfortunately all we can do for most of them is to try to provide food to help them keep their strength up through the winter and take out and place in veterinary care any dogs that fall seriously ill. This is the firt part of our appeal to you – can you help us fund this urgent food and medical care? Will you help feed us please? 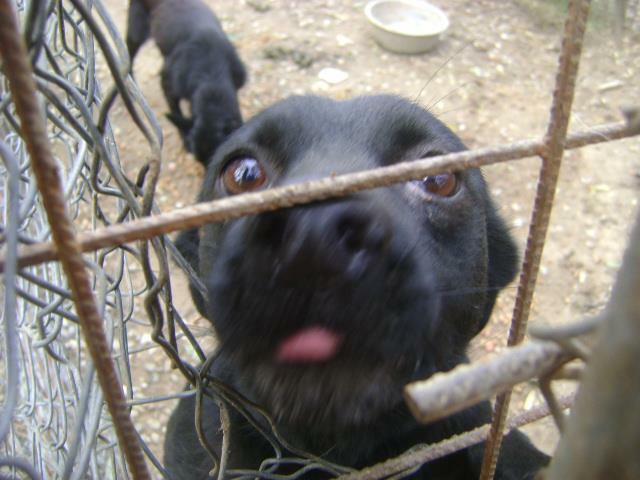 Whilst we cannot save and rehome all of the dogs in the shelter we do have a few special dogs who have had a particularly rough year and who we would hate to see having to spend a bitter, cold Romanian winter in the shelters. This is the second part of our appeal – can you provide a foster or permanent home to one these special dogs? We have three dogs ready for new homes today – can you help? Of course the ideal would be a forever home but if not can you or do you know anyone who could take one of these dogs into foster care over the winter while we continue to look for a forever home for them? Each of these dogs has a unique and heartwrenching story and despite their tough starts to life they are still so full of love and joy which they would love to share. So who are the lucky three looking for that special home? Next up with have poorly little Bobby. Bobby was very very ill last month, and as you can see from this photo below, he was all skin and bones. We took him out of the shelter and got him the medical care he needed, and he put some weight on as he got better. Whilst it is great that he is now all better sadly this means he is now back in the shelter but we are worried that with the frail state he had been in the he may get ill again over the winter if left in the shelter. Can you help this little chap? He is a bundle of joy and deserves a real chance of a warm loving home. UPDATE: Bobby will be going into foster care with Sunny. And last but not least our lovely little Mishu. We have written about Mishu and his best friend Ricky in the past. Mishu was found in a coma with a skull fracture more dead than alive. He was rushed to the vets but it was touch and go and then when he woke he could not walk so we were concerned he would not recover. But this bubbly chap is a real fighter and wanted to live – he made a full recovery! 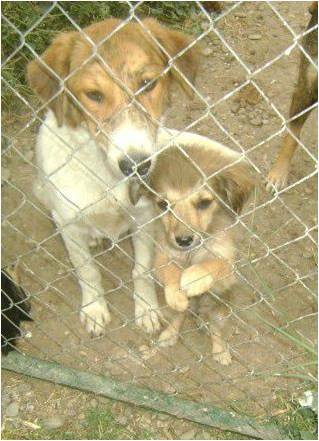 Mishu was sharing a shelter with his best buddy Ricky (who was found at around the same time as Mishu) – Ricky was fortunate enough to find a foster home in Germany leaving poor Mishu without his best buddy and still in the shelter. Can you help this survivor? Can you help this little chap who has gone through so much already? Don’t let him go through a deseperately miserable winter in a shelter – please help him. UPDATE: Mishu will be going into foster care with Sunny and Bobby. If you yourself cannot give one of these lovely dogs a home then please do help with our winter appeal either by donating or by sharing this appeal. None of these dogs deserve to spend winter in a shelter so we really hope that you can share their story with your friends and family and through this extended network we may can find them a warm home for the winter. And who knows – maybe if enough of you share this appeal we can find homes for some of the other dogs such as Mishu’s girlfriend or sick Anda who is currently to weak to leave the vets but will be needing a home too. So please for the sake of the dogs share their story and help us find them homes and help us feed them and give them some of the love they all so deserve! Thank you for helping feed me!